After 3 1/4 years and over 50 community energy projects the Malawi renewable Energy Acceleration Programme comes to an end in March 2015. MREAP was a collaboration between 8 partners and managed by the University of Strathclyde. On the 17th of March representatives of all those concerned met in the Crossroads Hotel in Lilongwe, Malawi for a Programme Steering Group (PSG) meeting where they discussed what had been accomplished and what could be learned and applied to future projects. 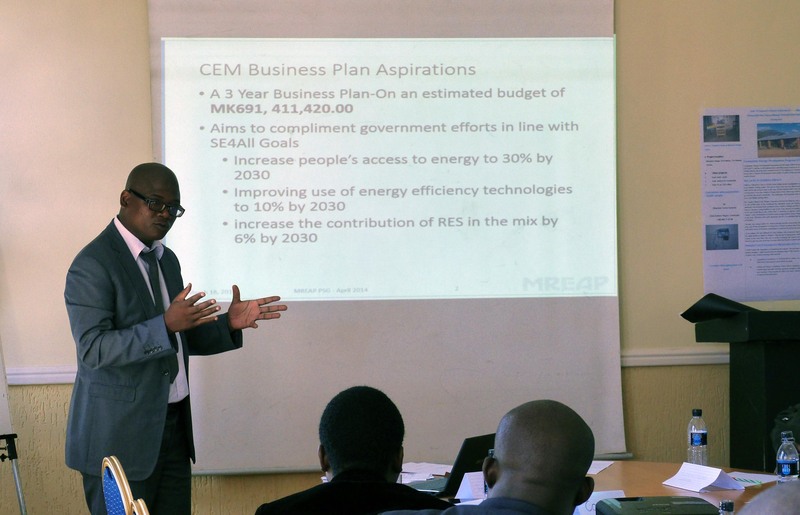 The morning was given over to a series of presentations detailing MREAP main programme strands. The final presentation by Catherine Currie gave an overview of her evaluation of the CEDP programme. Most of what was said was very positive with the overwhelming sense being that a lot of Malawians are now seeing real benefits due to the projects. In all it was estimated that over 20,000 Malawians have benefited in some way through access to renewable energy through CEDP. The afternoon session was divided into smaller groups to analyse specific aspects of rural development with the aim of producing some recommendations for better ways to implement projects in the future. Five topics were discussed in detail: Community Engagement Process, Short Course training provision, Monitoring and Evaluation frameworks, Capacity building and training and Entrepreneurship. I encourage anyone interested to read the PSG minutes for a more in-depth look at what was discussed Further information, presentations, and reports will be available on the MREAP website in due course. Thanks to all those in attendance and thanks to all involved in MREAP! Previous Previous post: Remote Monitoring for Off-Grid Solar PV: What is the Motivation?